some of our favorite holiday traditions around the Burnett Blushing Basics house include gift giving (obvs) but every year the gift themes stay the same. a pair of pajamas to spend Christmas Eve in style, an ornament for the tree to remember something special about the previous year and of course lots of lip balm to make our pouts kissably soft for the mistletoe. a big thank you to Victoria's Secret for helping us give those gifts in style. pictured above are the cutest (and coziest) holiday jammies you have seen. 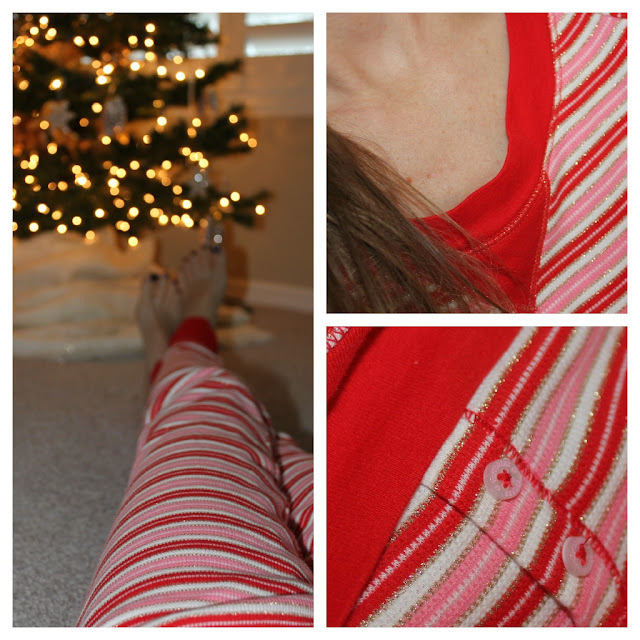 candy cane stripes, metallic highlights and adorable buttons - not a detail was missed. i am in love with these pajamas because they are not your typical flannel pant. they are much cuter, transforming you into an adorable holiday elf. plus, all pajamas are on sale right now (check them out here!) and it is not too late to get them before Christmas. one of my favorite things to do is to hang our ornaments and remember all the fun reasons why we have them. our guitar from Gatlinburg, Tennessee, our porcelain ornaments from Beijing, China, our gold crowns from London, England - all favorite memories of ours. so why not a perfume ornament from Victoria's Secret to celebrate my amazing year in beauty and blogging? plus, the perfume is the miniature version of the FiFi awarded perfume which to a beauty blogger is heaven. 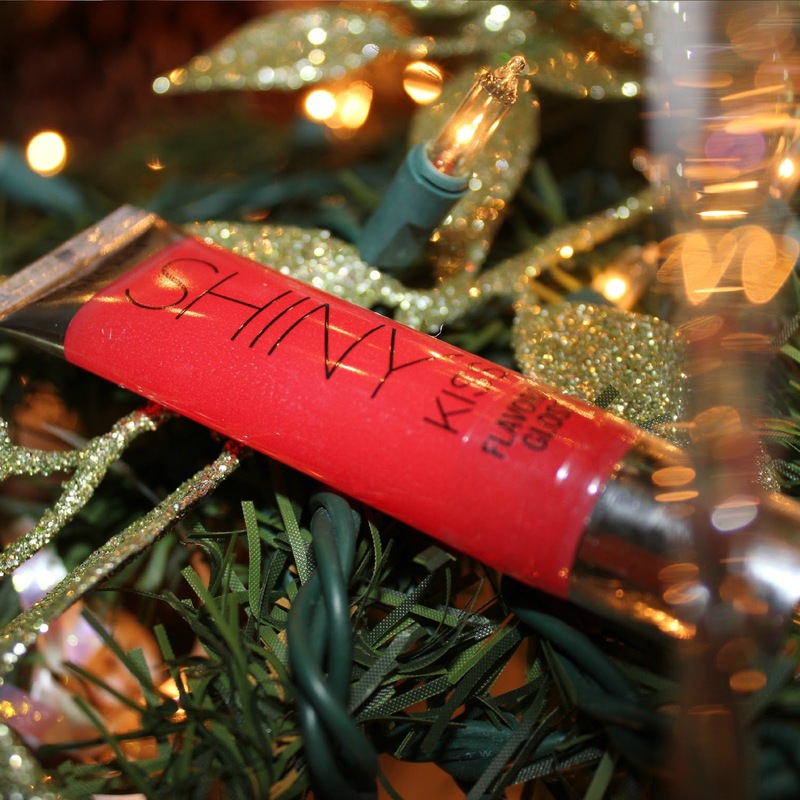 last but not least is the lipgloss - something you definitely don't want to skimp on. gloss it up and often. make sure your kisses are share and passed around freely this holiday season. you want the people in your life know how much you love them. plus it is flavored, a gift for them & for you. what traditions will you be rockin' this season? wonderful impressions- i love these pictures.